Are you frustrated with the lack of response to your staffing emails? You aren’t alone. We hear this from camps: “I found a great job candidate, I reached out, it started great and then nothing when I followed up with emails (cue cricket sounds).” Well, it might not be the job or you…it may be that the emails you are sending are getting swallowed up by the avalanche of email a college student gets every day. Here’s the thing, someone thought I should get each of these and included me on a mailing list…however none of these subject titles seemed relevant so I skipped them, saving a few to read later (meaning probably never) and deleted the rest. Yep, the peanut butter one was on the read later list! Consider this…these 5 emails all came within an hour or so. And not shown are the actual relevant emails I did open and respond to. Now imagine your correspondance regarding a camp job needs to slip somewhere into this daily mess. How to stand out and get a response? Here’s a few things we’ve learned at CampStaff over several million emails to college students. Don’t just reply on the from line to ID your emails. Scrolling through on phones are the primary way college get their messages. Let them see your name stacked! (Look at your phone now and you’ll understand why!). Accept the fact that almost every job candiate you will contact this year (and every year forward) will probably be weighing several other job or experience opportunities from other camps or other industries. The job marketed is strong for college students looking for summer jobs. Be clear in the subject line as to who you are and what you are discussing – every time! Again, college students are bombed by information. We’ve already established that college inboxes are full. If you don’t getting a response, resend the email. Maybe it was over looked, maybe it was designated “read later” and just forgotten. Before your start thinking..SPAM!, hear us out. Spam is unsolicited, irrelevant email. Your job candidate at some point wanted this job…you are just making sure they get the full opportunity. So, send the same email with the same subject again, and again, and again. A couple of things can happen.. 1. they respond and the hiring process moves forward or 2. they respond no thanks, please stop eamiling and you move one. Of course you’ve already encouraged all job seekers to like or follow your staff social feeds. Take it a step farther and follow or like them back. This gives you another reach out channel – direct messages or comments on their posts to keep camp in the loop. 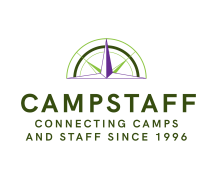 There is an additional benefit here that CampStaff has used very successfully – every time you post a comment, your name shows up in that person’s feed so that their friends can see your connection. We’ve had registered job seekers tell us, “I saw your name in a friend’s feed and was curious enough to register.” This can work for your camp too! Include prospective staff in your newsletter, blog and/or podcast list. Staying in front of prospective staff is key; they will see your camp name in various places and slowly, your camp will move to the front of their mind. Now, we are not suggesting by any means that you bombard them with meaningless content for the sake of putting your name out there. Instead, publish interesting articles on your blog, send newsletters with relevant information about working at camp, publish your podcasts of you interviewing a returning staff member (need an example? Here’s one of our podcasts interviewing a new staff member). In other words, be relevant! Worse case, they unsubscribe from your mailings. Keep up the good work staffing!